The thing about change is that it is value neutral. 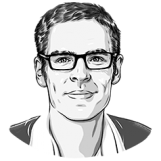 Despite a commonly held assumption that change is for the better (see also progress), one of the risks of change is that things may actually get worse. This risk is certainly applicable to web design. In redesigning a website, what if you make it worse? Some good examples are currently front page news…literally. Both The Globe and Mail as well as The Guardian (you’ll have to opt-in for the beta site) are undergoing major redesigns. My personal opinion is that the Globe looks terrible while the Guardian offers a best-practices example of modern web design. Change is a mixed bag. Without being familiar with their exact motivations for the respective redesigns, my guess is that they were doing their best to keep-up with the fragmentation of device screen sizes. Between Apple’s Retina Displays (2880 x 1800) and the most common resolution at 1366 x 768 (not to mention several other relevant considerations relating to the actual display of the pixels), what is the best way to display your website such that it looks good to the most number of people? This is increasingly one of the fundamental challenges faced by web designers. It also offers a very good motivation to pursue a redesign. 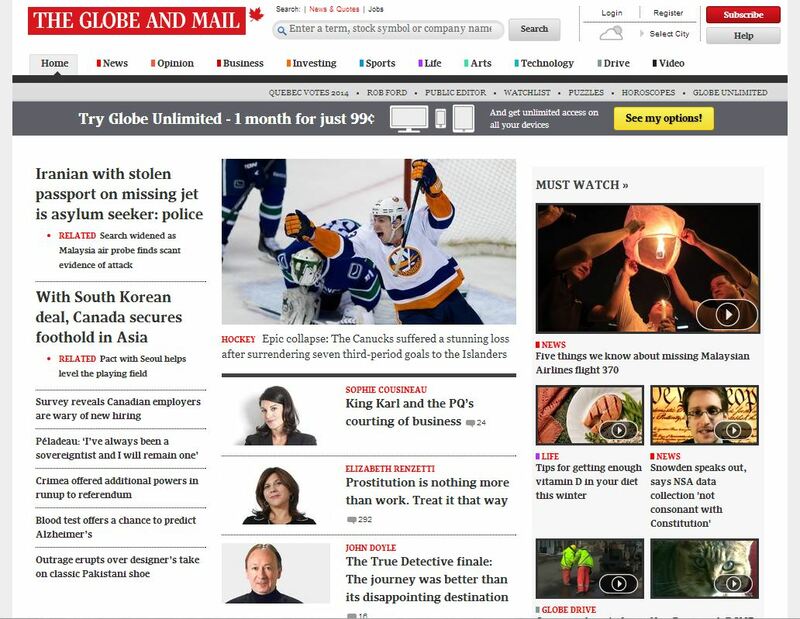 The Globe opted to pursue a “boxed” approach with a narrow middle column that is scaled to fit relatively low resolution screens. High resolution displays will simply have large white margins. 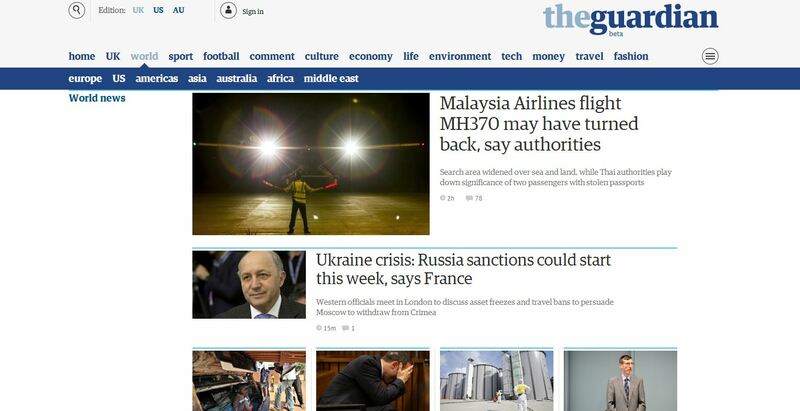 In contrast, the Guardian is pursuing a “wide” approach using all screen real-estate and a responsive design platform that re-arranges content to fit the size of the screen. The latter is harder from a development perspective, but offers a cleaner layout. Don’t make it worse. Developers will develop and designers will design. If you have something good, be very careful when you instruct your design team. They will inevitably be more inclined towards change. In contrast, your users/visitors will inevitably avoid change and would prefer incremental modifications. You’ll need to balance the two. Beta, Beta, Beta. While all large websites will be tested internally and with focus groups before launch, allowing for an opt-in beta design or a limited application of the new site will provide important insights. Google has made this type of opt-in testing a feature that their customers actually get excited about. Be prepared to fail. In my book, The Globe has failed this redesign. This creates a difficult management decision: should they roll-back to the old site? Management is not an easy job and making this kind of executive decision is tough. Follow trends. Everyone wants to do their own thing when it comes to design, but trends exist for a reason. Most redesigns are currently leaning towards the wide format because it looks amazing. This shouldn’t be determinative, but it should give you a strong push in that direction.